What is an OBD-I Scanner and How to Choose One? Scanners and code readers are devices that pull useful information out of the onboard computer that's supposed to keep your car running smoothly. When it stops running smoothly, the information you can grab with even the cheapest code reader simplifies the diagnostic process. And in the world of car scan tools and code readers, OBD-I, which stands for Onboard Diagnostics I, is about as simple as it gets. Most vehicles that were manufactured prior to 1996 use first-generation onboard diagnostic systems that are collectively referred to as OBD-I. The first OBD-I systems showed up in the late 1970s and early 1980s, and every manufacturer developed their own interface technology. That means that while these systems are grouped together into the general category of OBD-I, they share very little in common. Every manufacturer had its own, proprietary OBD-I plugs and jacks, and many OBD-I scanners were designed to work with vehicles from only a single make or even model. For instance, an OBD-I scanner that's designed to work with GM's assembly line diagnostic link connector won't work with Ford or Chrysler. The good news is that, in many cases, you don't actually need an OBD-I scanner to read codes. The bad news is that every original equipment manufacturer had its own way of accessing codes without any diagnostic tools, so the situation is anything but simple. How do You Choose an OBD-I Scanner? Unlike OBD-II scanners, an OBD-I scanner that works with one make isn’t necessarily going to work with another. However, some of these scanners are designed to be universal, or at least work with several makes and models. OEM-specific OBD-I scanners use hard-wired connectors and software that's only capable of interfacing with the onboard computers of a single manufacturer. If you aren't a professional automotive technician, then your best bet is to buy an OEM-specific scanner that will work with your car. These scanners are easy to come by on sites like eBay, where you can often find one for well under $50. Universal and multi-OEM scanners feature interchangeable connectors and software that can handle more than one make of vehicle. Some of these scanners also offer interchangeable cartridges or modules that switch between different OEMs. OBD-I scanners that work with different OEMs are typically a lot more expensive. For example, you can expect to pay up to several thousand dollars for a scanner that works with all OBD-I and OBD-II systems. This is only really an option for professionals who do a lot of this type of diagnostic work. What Can an OBD-I Scanner Do? OBD-I scanners lack many of the features and abilities of OBD-II scanners because of the limitations of OBD-I systems. Accordingly, the specific features of any scanner will depend as much on the particular OBD-I system that you’re dealing with as they will on the scanner itself. OBD-I scanners typically provide basic access to data streams, and you may be able to access freeze-frame data, tables, and similar information. The most basic OBD-I scanners are more like simple code readers, in that all they can do is display codes. In fact, these basic OBD-I scanners don't actually display a code number. Instead, they blink a light that you have to count. Some OBD-I scanners can clear codes, and others require you to clear the codes with a basic procedure like disconnecting the battery or removing an ECM fuse. Some code readers and scan tools are capable of dealing with both OBD-I and OBD-II systems. These scanners include software that can deal with the pre-1996 onboard computers from multiple OEMs, software that can interface with post-1996 OBD-II systems and multiple connectors to interface with all of the above. Professional technicians typically use combination scanners that can deal with just about anything, but you can buy consumer-grade devices that are good for DIYers who own both older and newer vehicles. Most OBD-I systems include built-in functionality that allows you to read codes by blinking the check engine light, but the process varies from one OEM to the next. Chrysler is one of the easiest, as all you have to do is turn the ignition key on and off several times. The exact procedure is: on, off, on, off, on, and then leave it on, but don't start the engine. 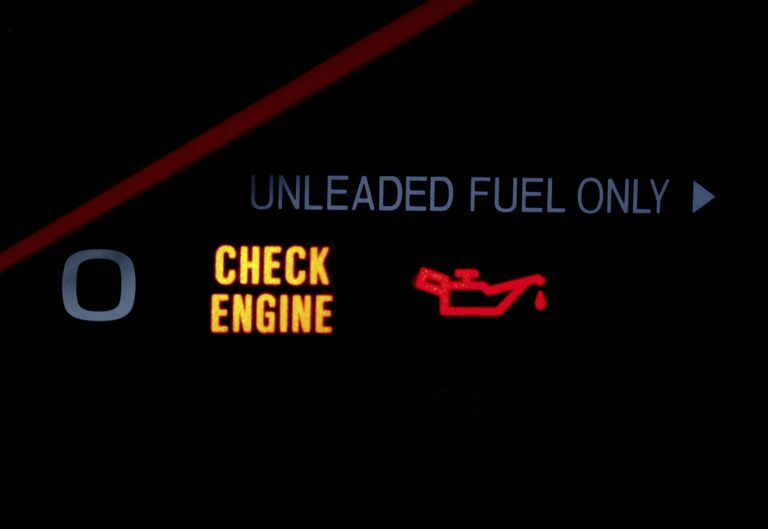 The check engine light will then blink to indicate which codes are stored. For instance, one blink, followed by a short pause, followed by seven more blinks would indicate a code 17. Other makes, like Ford and General Motors, are a little more complicated. These vehicles require you to short out terminals in the diagnostic connector, which will cause the check engine light to blink out the codes. Before you attempt to read codes on one of these vehicles, it's a good idea to check a diagram of the diagnostic connector on your car to ensure you get the right terminals.